Sarah at Blue Soul Designs is offering a DARLING give-away. you could choose one of the following…. 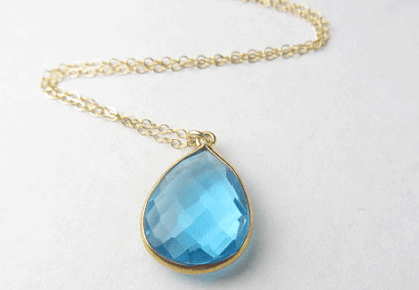 The Aqua Quartz hangs from a 16″ 14k gold filled chain. The price is only $24. 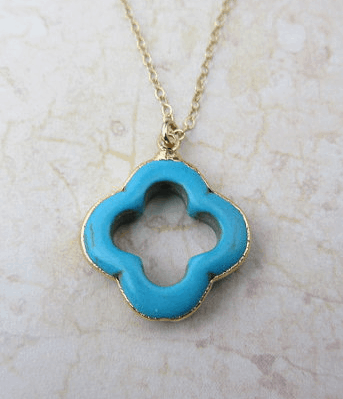 Each piece comes in a pretty turquoise box–perfect for the holidays! 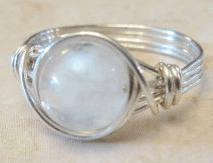 This natural Moonstone ring makes a sweet gift for only $12. I bought this necklace and get compliments on it all the time. How pretty are these gold framed glass earrings? Only $28. Leave a comment below for each entry (with your email address). Julia’s blog is one of the first I started reading and is one of my favorites. Have fun shopping at Blue Soul Designs! LOVE the earrings!! Thank you for sharing, Mary Ann. 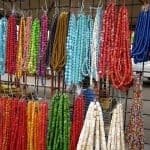 Beautiful jewelry Mary Ann, and very reasonably priced. I will definitely check out the site. So many pretty things I'd love to have! And great prices too! I'd love to win this giveaway! I love, love, love your blog…..and her jewelry is absolutely beautiful. Thank you for featuring her work…..I would love to wear a piece from her collection. What a pretty giveaway! Thanks so much! YOu know I am a happy faithful follower! I'm a follower of you on Facebook! Love the jewelry. I've purchased a few things myself! I follow BSD on Facebook as well! Absolutely adore BSD's jewelry and have liked on facebook! And I "love" classic casual home" on Facebook!! Yes, I know you can only "like" but I definitely think Facebook should let us kick it up a notch!!! I follow classic.casual.home via GFC. I Like CCH on Facebook. I Like Blue Soul Designs on Facebook. 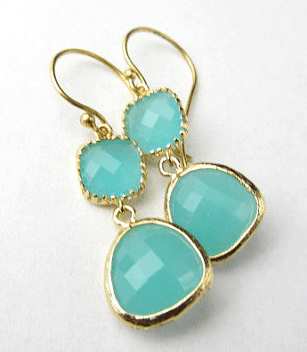 What a lovely giveaway – who doesn't love jewelry, especially these pretties? I happily follow your blog, Mary Ann! As you are aware I've followed your blog for some time now. Sine May/ June I've reduced my online presence due to the pressures of life and being tucked away in a corner of France without regular internet service. However, I am slowly coming out of hibernation. Bisous. Love the jewelry and know someone on my XMAS list that would enjoy it, too! 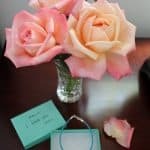 I've been a follower of your blog and love it! Thank you for hosting the giveaway! Pretty jewelry. Thanks for sharing. I am already a follower of your beautiful blog…..Thanks for the chance at this beautiful giveaway. Great giveaway! I follow your blog via GFC! P/S: Come by and enter Shabby Apple giveaway if you like! Liked Blue Soul Designs on FB! We liked you on Facebook. Thanks for sharing these great jewelry designs I just got some gift ideas for some friends! Pretty, pretty! I follow your blog. I'm already following you & I've liked everyone on Facebook – that said, oohhss & aahhss all around. The jewelry is very pretty & the prices are wonderful! Wow, Mary Ann! You are EVERYWHERE in Blogland this week! It's no wonder…you have such a wonderful sense of style, and everything you touch turns out beautifully! Love your blog! Am a follower! I liked blue soul designs on Facebook! I liked classic casual home on Facebook! Great giveaway, Mary Ann. Have a great weekend! I like classic casual home on facebook! I like blue soul designs on facebook! Lynn_fern@yahoo.com Your house is simply amazing. Love your blog and the jewelry on the Bluesoul etsy shop. Great place to shop for gifts. Love the jewels! Glad to find your Facebook page! I like yours and theirs!!! Wow. Such pretty jewelry. Sure would love to win! Very cute jewelry line! Love the gold frame earrings at the bottom. 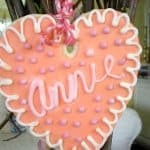 Just found your blog from Savvy Southern Style! I followed you right away! LIked blue soul designs on fb! Thanks for the give-away! Liked both on Facebook … What pretty pieces ~ it would be hard to pick just one, but I sure would like to! Thanks for bringing such beautiful items to light! 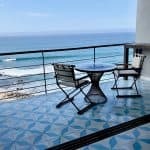 Visiting your blog/site is like a mini vacation. Thank you for all the beautiful things you post. I followed both pages on Facebook. Thanks. Thanks so much for this chance to win a beautiful piece of jewelry.